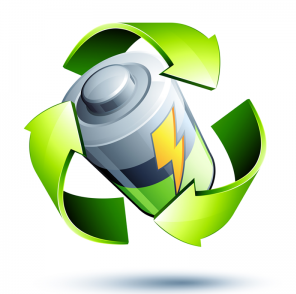 Batteries not accepted in the curbside collection can be dropped off at a household hazardous waste depot. 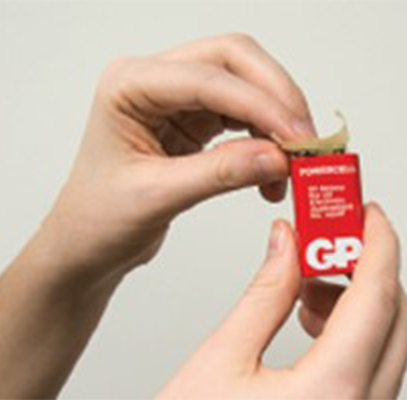 Step 1 For safety reasons, using masking tape, place tape over both ends/sides of lithium and button cell batteries and 9-volt batteries. 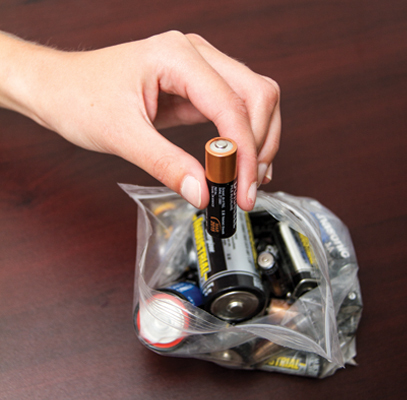 Step 2Place the used batteries in a clear plastic bag and seal. Batteries must be in a clear plastic bag in order to be picked up. Step 3 On your regular collection day place the sealed bag beside your Blue or Grey Box. Batteries must be visible to the collection staff. 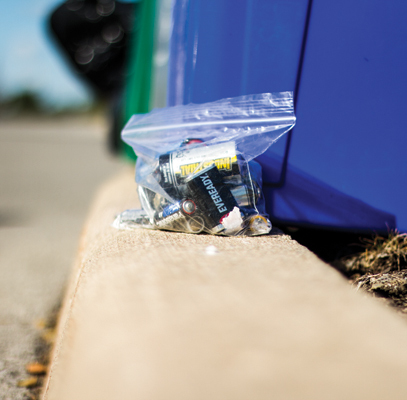 Residents have a number of options to dispose of batteries year around if they miss their curbside collection date.